From December 6 to 8, 2013, nearly 2,000 participants will come together for the largest fundraising event in the ski community. The Tremblant 24h of skiing is a relay challenge for teams of 6 to 12 people, a festive and fun-filled weekend on the entire site, but first and foremost, it is a fundraiser for the benefit of children. This year again, the Tremblant 24h of skiing is supporting four foundations who hold children close to their hearts: The Fondation Centre de cancérologie Charles-Bruneau, the Ottawa Senators Foundation, the Fondation Martin-Matte and the Tremblant Foundation. To put a face on your efforts and allow it to be more visible, a patronage program has been created. Each team will now be associated with a child. With this new program, everyone will be able to see and learn what diseases and sectors can be benefited by your actions. 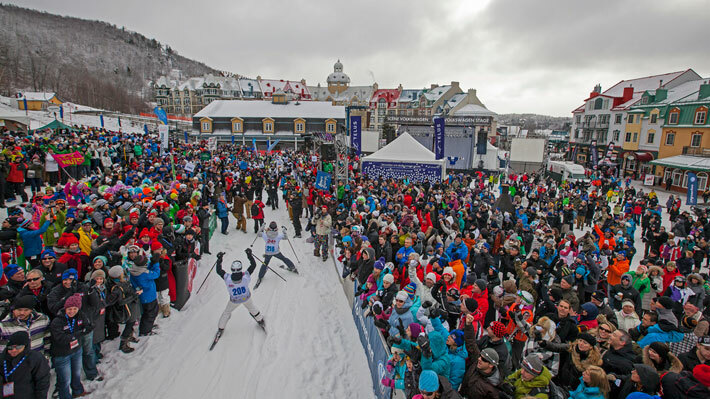 The Tremblant 24h on foot is also evolving after 5 years of existence and will now be part of the Tremblant 24h of ski. The event will take place December 6 to 7, on a lit and safe course in the great outdoors and the participants will have the chance to pass through the heart of the Tremblant’s pedestrian village.